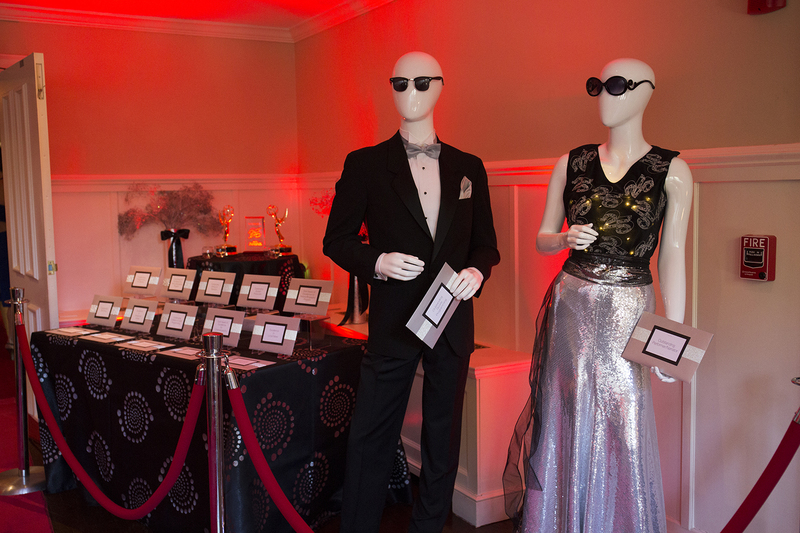 NewTV celebrated its 25th Anniversary on May 11 with a gala and red carpet awards at the Brae Burn Country Club in Newton. Attendees included current and former members and board members, local politicians and businesspeople, media professionals, students and interns. Executive Director Bob Kelly welcomed everyone to the event, and NewTV Board President Paul Sears expressed his appreciation for the organization. Phil Lipof, the Emmy® Award-winning journalist and co-anchor of WCVB’s NewsCenter 5 at 5:00, gave an inspiring keynote address. Phil credited NewTV for helping to pave the way for his journalism career by giving him necessary hands-on experience in the field. After a retrospective video, the awards began. The club was transformed with NewTV branding and whimsical decorations representing television and film. Guests enjoyed cocktails and hors d’oeuvres while listening to classical music from the Suzuki School of Newton students. Village Bank received the Community Partner of the Year Award. Sam Rubel of Newton North High School and Everett Gilpin of Newton South High School were awarded scholarships. Many NewTV member-producers and volunteers were honored with awards for their work. The event was sponsored by Village Bank, RCN, Commodore Builders, Mt. Ida College, and Belmont Savings Bank. Photos from the event can be seen at newtv.org/25photos. NewTV is Newton’s Emmy® Award-winning, state-of-the-art HD media center, specializing in television production, training and content distribution. NewTV’s three cable channels (Community, Education and Government) broadcast locally relevant programming to the diverse Newton community and provide a platform for members to express their vision. Category: Events · Tags: NewTV Celebrates 25 Years!